BTO STUDENTS ARE GOING TO LONDON !!! Now, I am getting everything ready for the trip to London although it is not like Liverpool, which I visited last year. 30 BTo students will travel to London on a motivation trip to visit the main sights and the most important museums, together with Jose Luis Rodriguez and Margarita Mateos. They will manage around the city and also, they will improve their English. 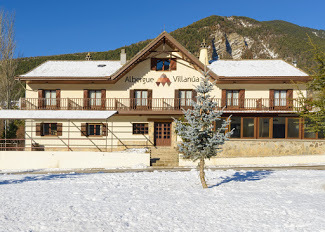 We will stay at the Royal National Hotel and we will have a lovely time from the 9th to the 13th f January. We couldn't go in December, as we usually do in order to see Christmas decorations, because the flights were really expensive. 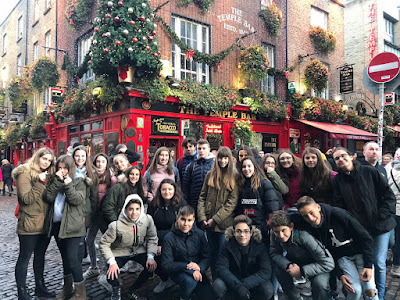 However, it is true that never ever before had so many students been interested in such a trip. So I am very happy about it. WE ARE OFF TILL THE 8TH OF JANUARY 2019 !!! YES, now we are on holidays. We deserve them after so much work during the final days of the term. Students have worked hard to get good marks, and teachers have worked hard correcting an evaluating all the written tests. 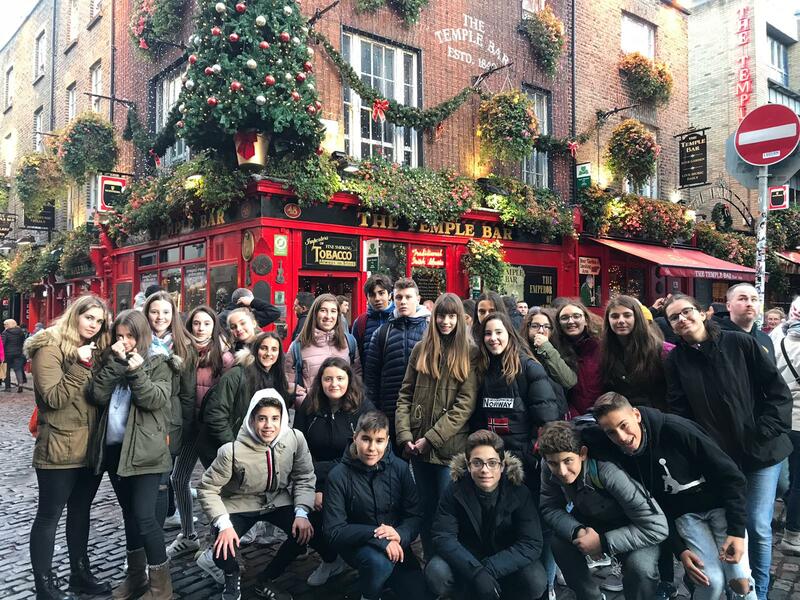 Gonzalo and Ryan have been to Villanua with 70 students from 1st and 2nd ESO for an English immersion experience from 17th to 20th of December. It was well organized and all of them enjoyed a lot. 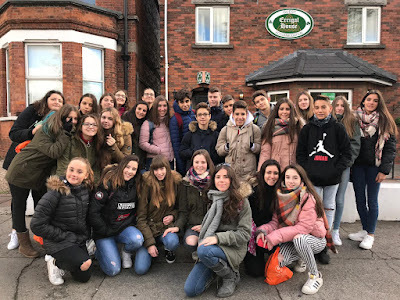 They were staying in the hostel of Villanua. And they had native monitors. Also Ryan Burke, our Canadian assistant. 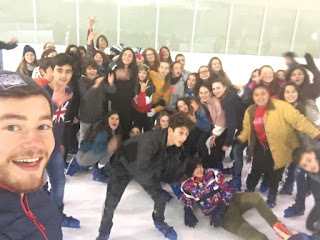 Finally, they went ice skating in Jaca. 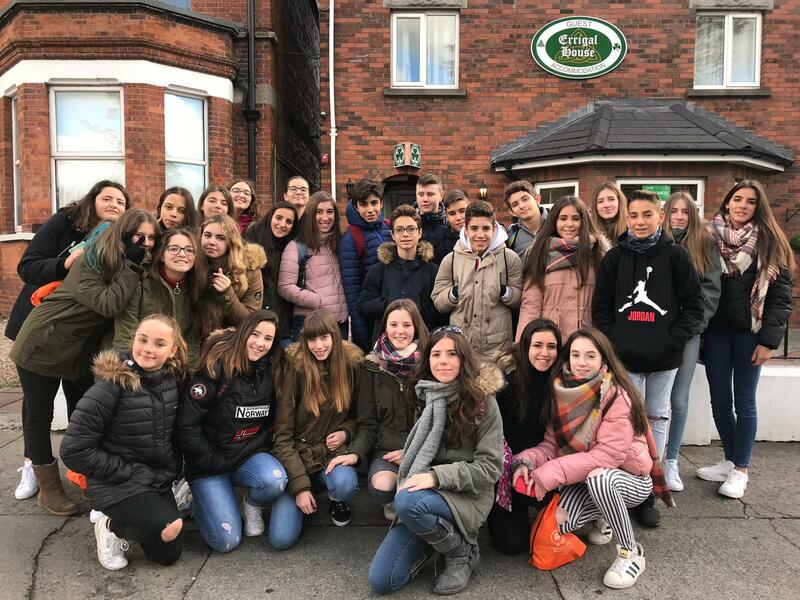 A group of students from Administration and Business will visit the headquarters of 'Siemens' in Nuremberg in January with the English teacher Marga Herrero. 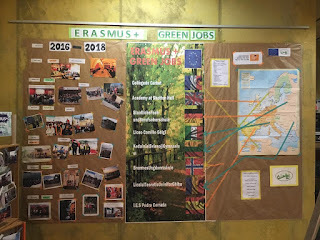 We have been invited by the Training school of Erlangen due to the fact of being part of the Erasmus+ 'Green jobs' for 2 years. These projects serve right to maintain good relationships among schools after the project has finished. The German students will come to Utebo in spring accompanied by their teacher Christian Altman. Moreover, some Electronic students will travel too with their teacher Fidel. 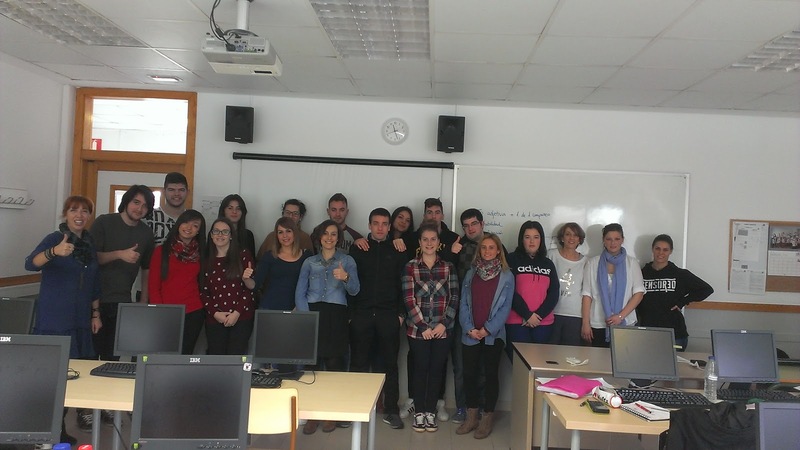 Today, it was the last day of our workshop dedicated for a few sessions to ICT devices and interesting tools like blogger, ARAMOODLE, classroom, trivinet, among others, in order to improve the quality of Education and also introduce innovative practices in our daily work. OUR CANADIAN ASSISTANT USUALLY COME TO SCHOOL CYCLING, BUT AFTER THE RAIN, SOMETIMES THE PATHS ARE WET AND SLIPPERY AND THEREFORE DANGEROUS. 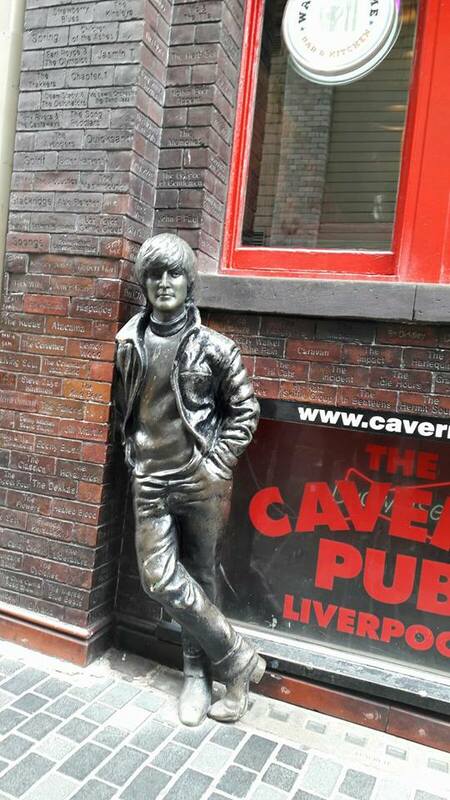 SO, UNFORTUNATELY, HE FELL DOWN AND HE HURT HIMSELF. NOW, HE IS OK BUT HAS ONE FINGERNAIL LESS. OH MY GOD, THAT IS PAINFUL !! WE ARE SO SORRY !!! WE HOPE HE IS BETTER NOW. 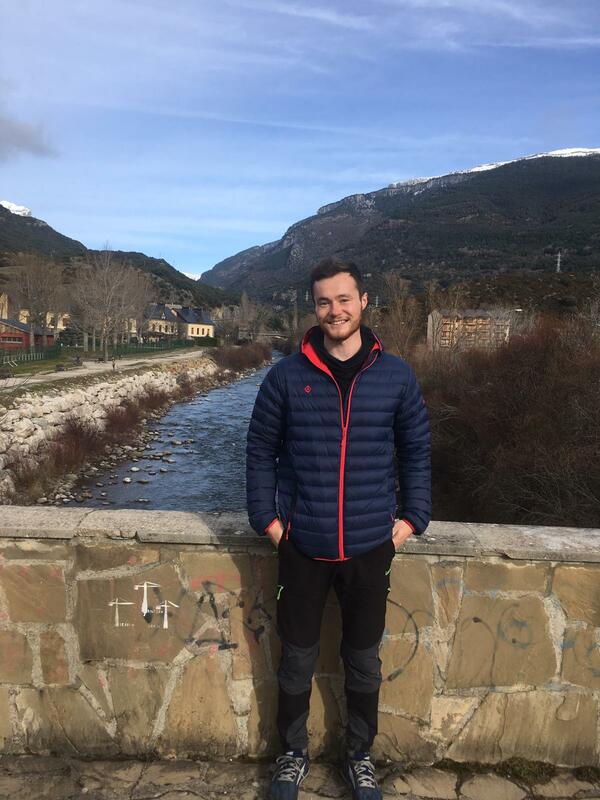 "My experience in Madrid made me very happy! " said Raquel. In the trip to Madrid, I was very tired because I hadn’t slept enough. Firstly, we went to many Museums, but my favourite one was The Prado Museum, because I could see my favourite Goya’s painting, 'Los fusilamientos del 3 de Mayo'. I didn’t like the museums of art, but I enjoyed the museums of science and the visit to the national library because I could see copies of books from Leonardo Da Vinci, Calderon de la Barca and other important writers and I love seeing old books. The hostel was very cool and we shared the same room. In the hostel we painted the walls with a green marker they lent us. For breakfast, we had toast and orange juice, and I love it! At lunch time, we had to search restaurants in Madrid. 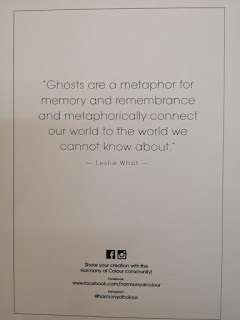 Also, we went to Maria Guerrero’s theatre and we saw on the first night Luces de Bohemia. It was a bit long from our point of view but we enjoyed it a lot! 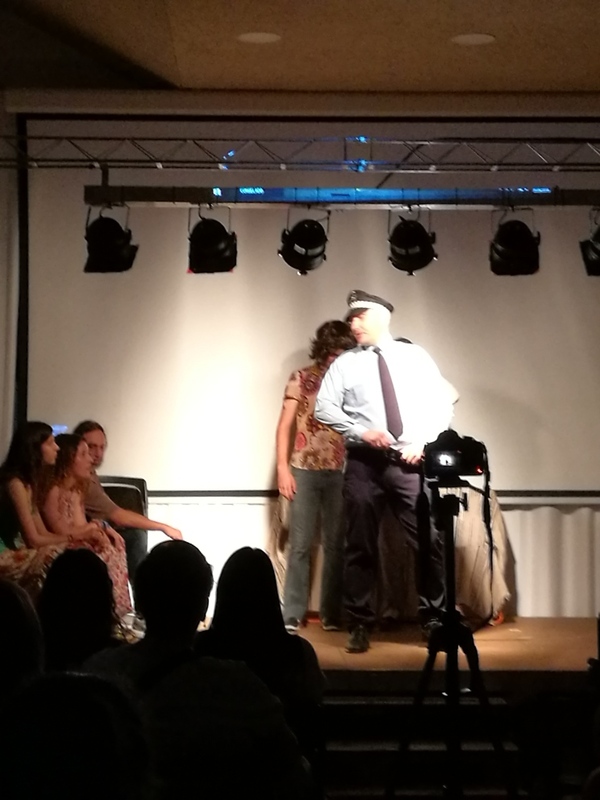 The last night we saw a show about the life of Federico Garcia Lorca with popular Spanish music in live. I really like it because I love this kind of music. 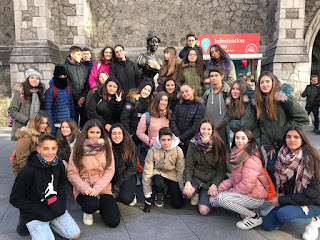 On Saturday afternoon we had free time and we spent it with some friends who live in Madrid and we went to the Retiro park and the Gran Via. Finally, on Sunday we returned to Zaragoza. If we came back to Madrid we would like to stay more time than just three days. IN WHAT WAYS DOES GENDER INEQUALITY PERSIST AT PRESENT IN YOUR SOCIETY? We live in a patriarchal state. 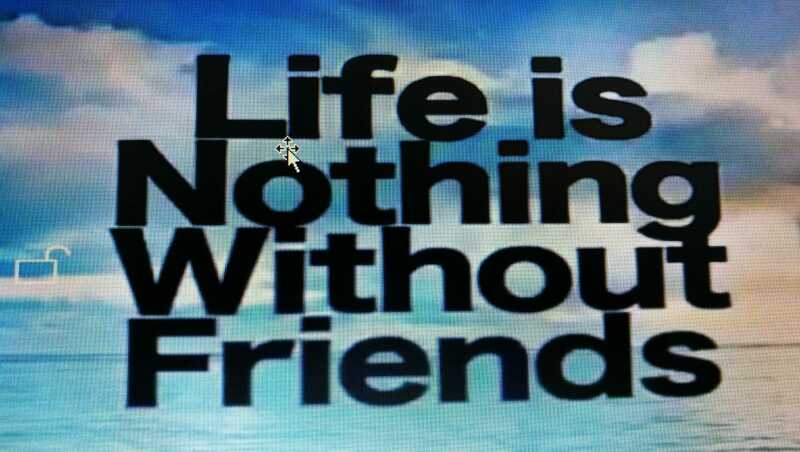 This is a fact. If we look around us, we can observe in our society facts that prove it. First of all, the average annual salary of a woman is 22% lower than that of a man, a good example of gender inequality. Secondly, women only occupy less than 30% of managerial positions, and it is a reality that, the higher we look, the fewer jobs women occupy. Finally, I would like to ask a question. Is it possible that women are less capable than men? The answer is, undoubtely false. It is proven that women are as capable as men. If we all put ourselves on our side, the feminist struggle would be bigger and soon we would live in a society that is equal for all of us, as we are all human beings with the same rights. 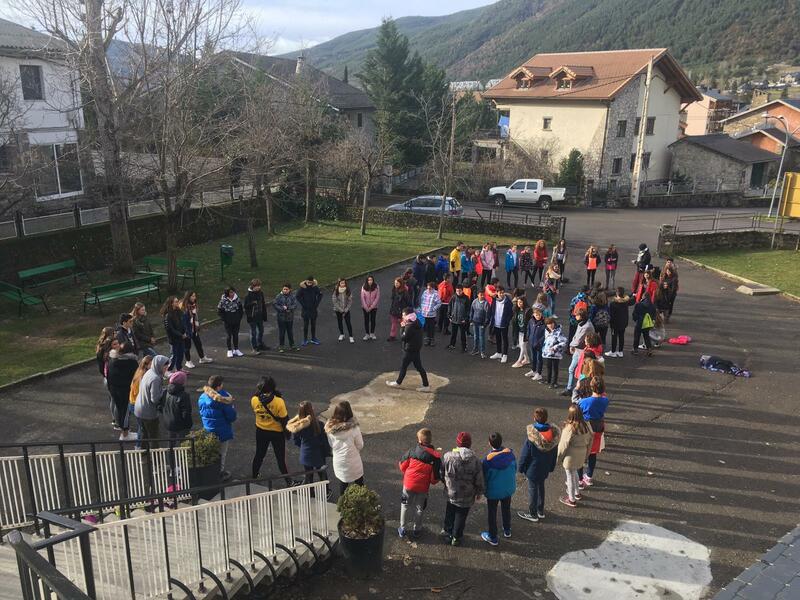 69 STUDENTS FROM 1ST AND 2ND ESO WILL TRAVEL TO vILLANUA ON THE 17TH OF DECEMBER FOR THE ENGLISH IMMERSION WEEK WITH NATIVE TEACHERS. THEY WILL ENJOY GAMES AND ENGLISH ACTIVITIES. ALSO,, THEY WILL VISIT THE CAVES, THEY WILL DO SOME TREKKING AS PART OF SANTIAGO'S WAY, THEY WILL GO TO SLIDE ON THE SNOW, AND FINALLY, THEY WILL DO SOME ICE SKATING IN JACA ON THE WAY BACK. THEY WILL BE ACCOMPANIED BY 2 TEACHERS: GONZALO AND RYAN. 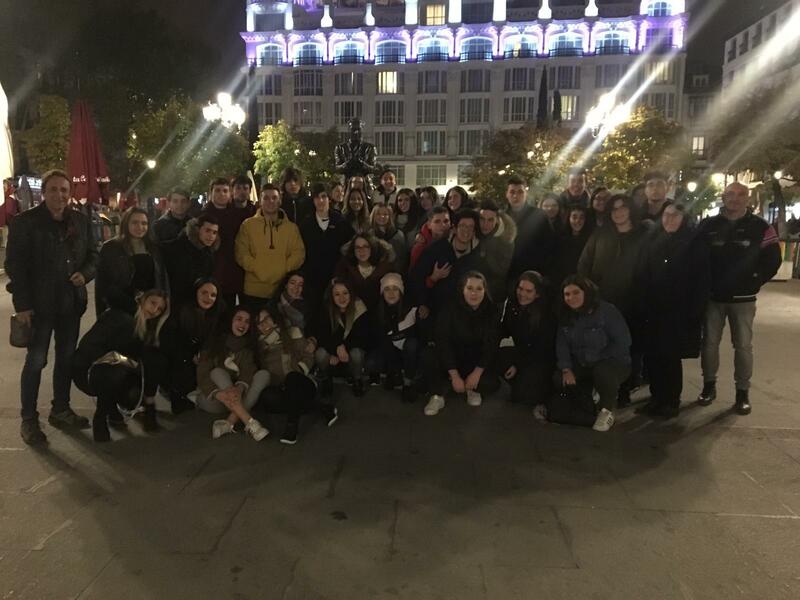 AS EVERY YEAR, THE LANGUAGE DEPARTMENT HAS ORGANIZED A TRIP TO MADRID WITH THE STUDENTS OF 2ND BACHILLERATO. THEY REALLY ENJOYED AND NATALIA SENT THIS PHOTO. THEY SAY THE BEST THING WAS THE PRADO MUSEUM AND THE PLAY AT MARIA GUERRERO'S THEATRE: LUCES DE BOHEMIA BY VALLE INCLAN. ALSO THEY COMMENT THEY REALLY LIKED GOING TO THE RETIRO TO SEE THE MAGICIANS SHOW IN THE STREET. 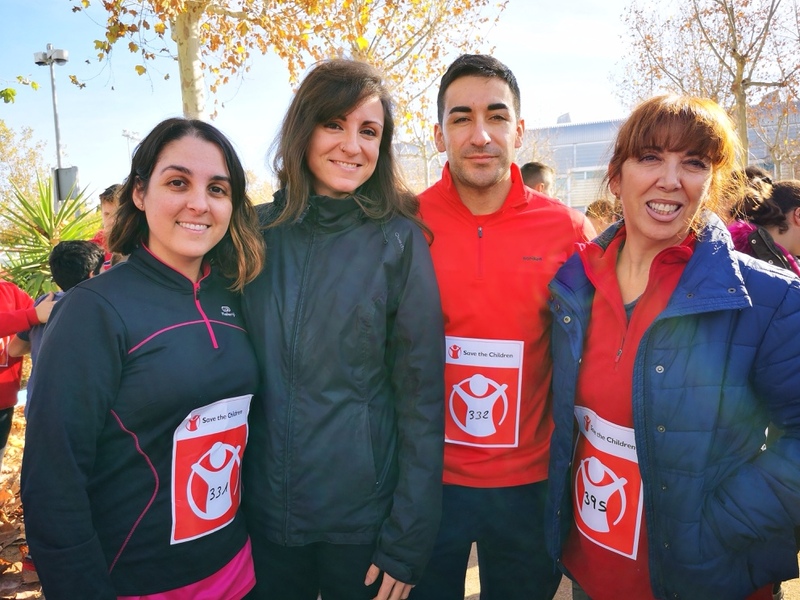 IN ORDER TO IMPROVE THE SOCIAL AND PERSONAL COMPETENCE, THE PHYSICAL EDUCATION DEPARTMENT HAS ORGANISED TODAY A SOLIDARITY RACE TOGETHER WITH 'SAVE THE CHILDREN'. 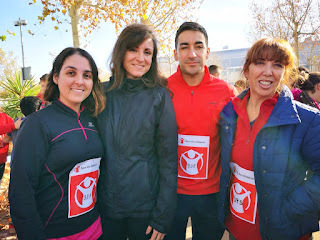 MANY TEACHERS AND STUDENTS FROM DIFFERENT LEVELS HAVE REGISTERED TO DONATE SOME MONEY: 0,50 CENTS FOR EVERY TRACH THAT THEY HAVE RUN. AND OUR FRIENDS TODAY ARE ........ ALL THE CHILDREN FROM AFRICA WHO CAN'T GO TO SCHOOL BECAUSE THEY HAVE TO WORK OR BECAUSE THEY LIVE TOO FAR AWAY TO THE NEAREST SCHOOL. 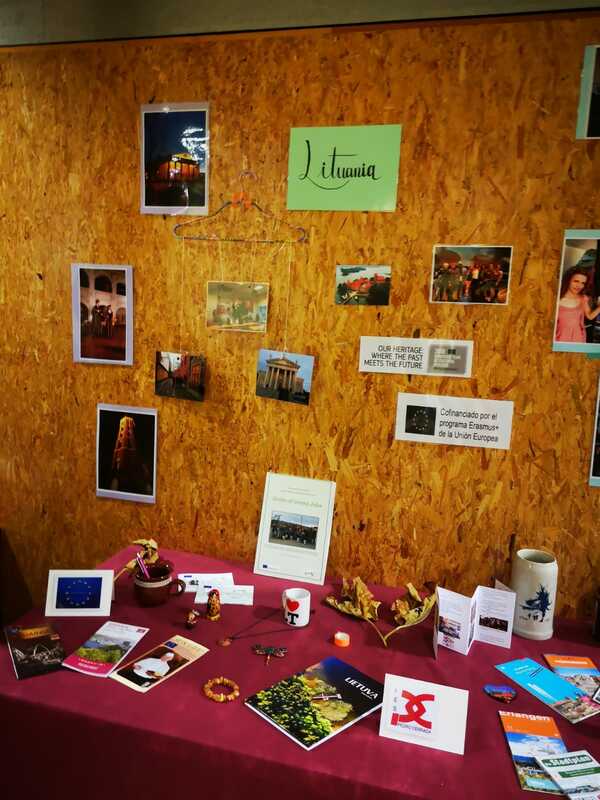 INES SANCHO AND MARGA HERRERO HAVE BEEN INVITED TO THIS JORNADA AUTONOMICA DEDICATED TO ERASMUS+ IN INSTITUTO ARAGONES DE LA JUVENTUD. THEY SHOWED A PRESENTATION ABOUT LAST YEAR ERASMUS+ KA129 "GREEN JOBS" AND ALSO THIS YEAR'S ERASMUS+ KA229 " INTERNATIONAL SKILLS PUT INTO PRACTICE'. 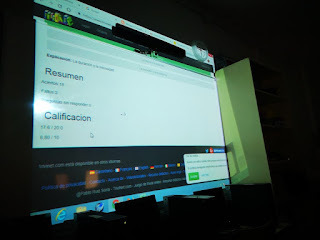 PEOPLE IN THE ROOM WERE AMAZED ABOUT ALL THE WORK DONE AND THE TEACHERS ADMITTED TO BE SATISFIED AND PLEASE ALTHOUGH IT REQUIRES A LOT OF EXTRA WORK IN THEIR FREE TIME. ON THE OTHER HAND, IT HELPS GAIN FRIENDS AND GOOD SCHOOL PRACTICES. THEREFORE, IT IS TIME TO START THINKING ABOUT NEW IDEAS FOR INNOVATION !!! YES... IT GOT TO THE END! 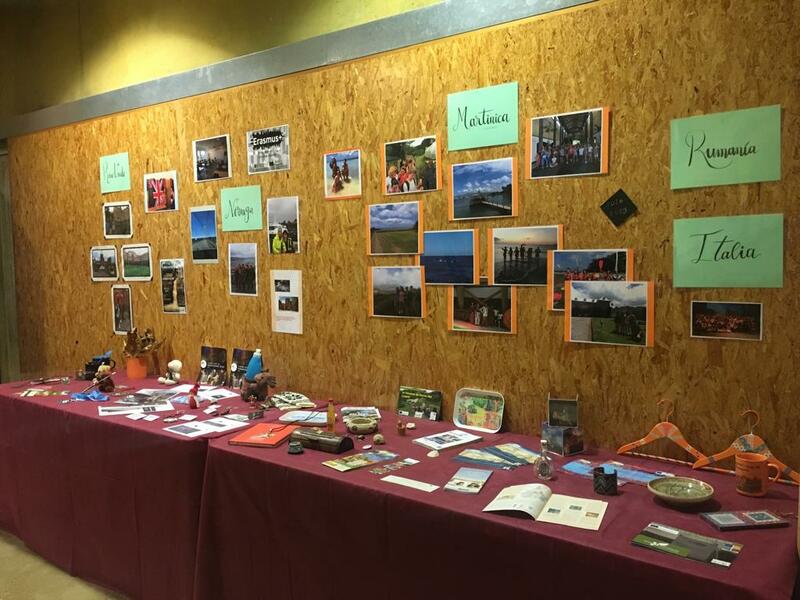 BUT.... AS A FINAL EVENT, YOU CAN SEE AN INTERESTING EXHIBITION OF PHOTOS, SOUVENIRS AND BROCHURES AT THE CULTURAL CENTER 'EL MOLINO' IN UTEBO- ZARAGOZA. GO!! YOU WILL LIKE IT !!! 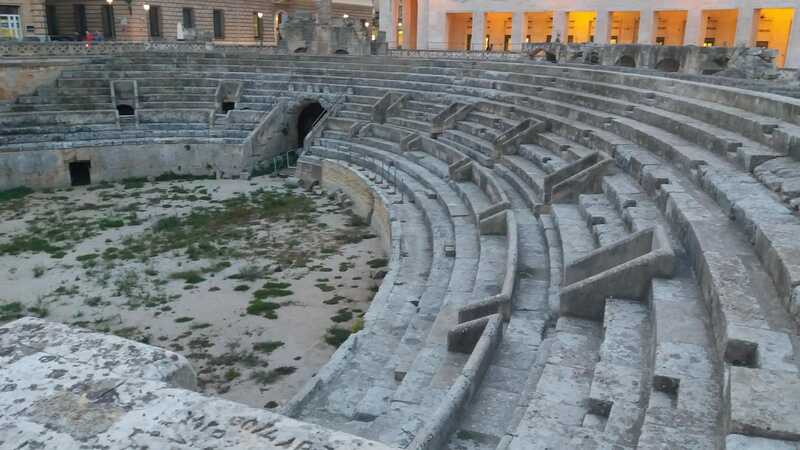 2018 WAS THE EUROPEAN YEAR OF CULTURAL HERITAGE SO YOU CAN BROADEN YOUR CULTURE LEARNING ABOUT ALL THE 8 PARTICIPANT TOWNS. THANKS AGAIN TO ALL THE TEACHERS, STUDENTS, PARENTS AND RECEPTIONISTS WHO HAVE COLLABORATED ALONG THE 2 YEAR WORKING !!! 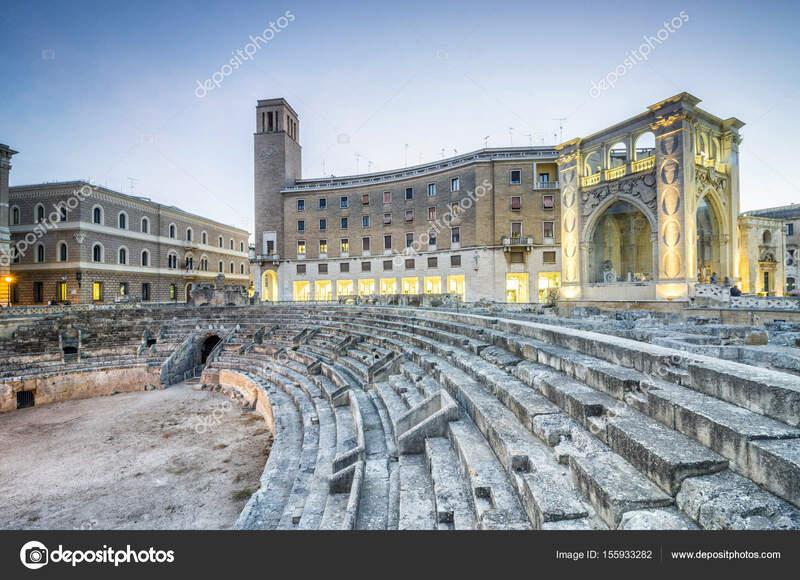 The first mobility is going to take place in Lecce, Italy from 9th to 16th December 2018. 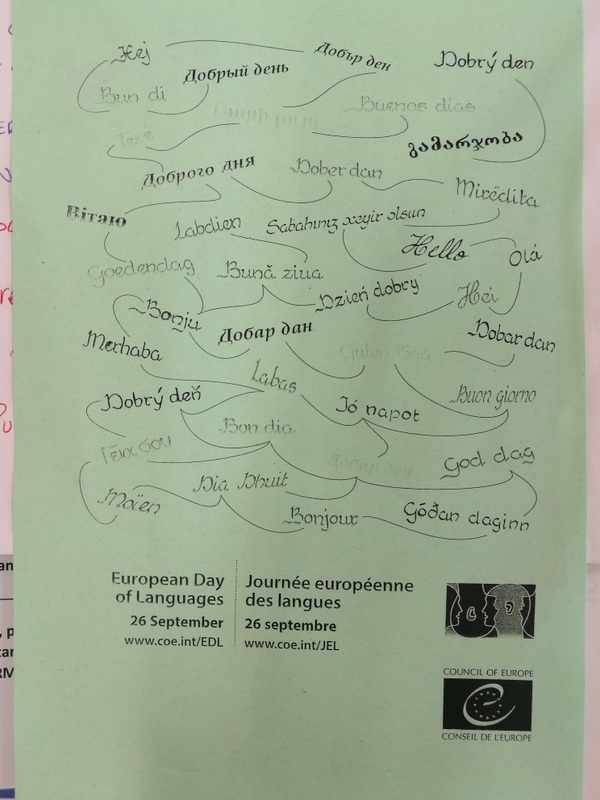 They will be participating in the "International Skills project" with 5 other school from Enger, Freigericht, Lecce, Gulpen and Swindon. They will have to learn the local languages and put their skills into practice with the help of the local students in the streets, at school, at University or at work. 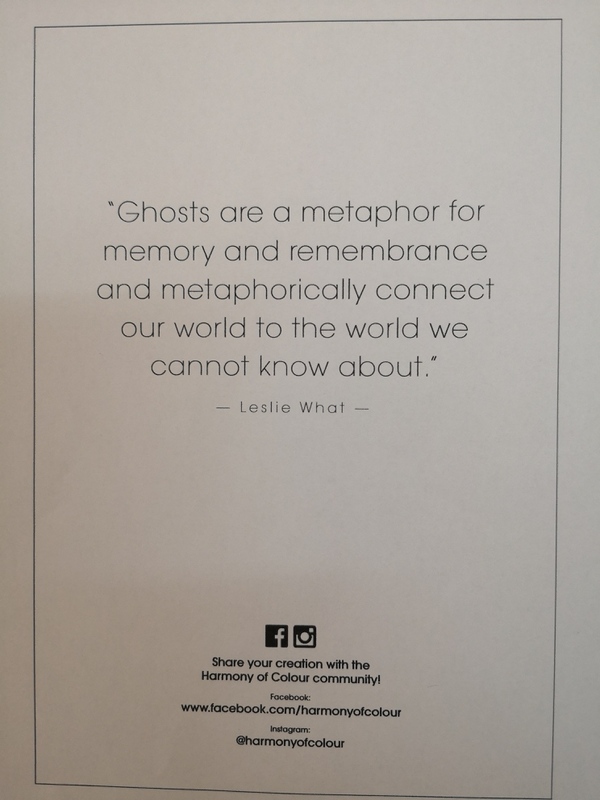 We are very happy about this project !!!! 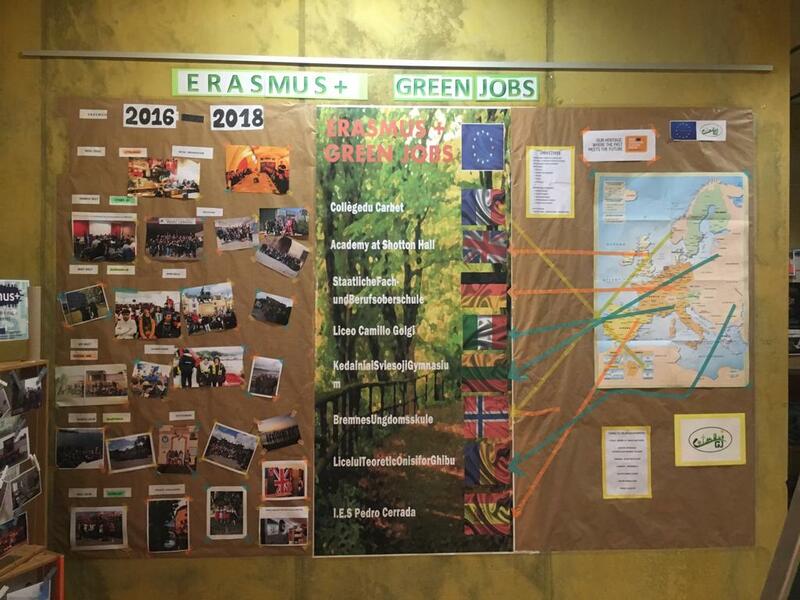 FROM 22 NOV- 4TH DEC, WE ARE GOING TO SHOW AN INTERESTING EXHIBITION ABOUT 2 YEAR WORK IN OUR ERASMUS+ 'GREEN JOBS'. ADMINISTRATION STUDENTS HELPED FOR THE FINAL PRODUCT: A GUIDE OF DIFFERENT PROFESSIONAL JOBS RELATED TO SUSTAINABLE DEVELOPMENT !! OUR RECEPTIONIST YOLANDA HELPED A LOT WITH ALL THE PHOTO DESIGNING !! WITHOUT HER, NOTHING WOULD HAVE HAPPENED. It was a dark December night in a German village I do not remember exactly his name because he is very small and little known. A seven-year-old girl, more or less, received a doll that was given to her father at work. The doll was many years old, happy to see, it was a beautiful toy that would attract any creature Urban legends that deal with diabolical dolls are known, any doll given or stolen would bring bad luck for the rest of your life, but naturally, no one believes them. The girl had a lot of fun with her for a long week. That night, he kept it like every night and went to bed. The next morning he got up, and a very loud cry was heard by his parents. When they too got up, they saw the girl lying on the ground with sharp nails stuck in her feet, that someone casually left them lying around. Besides, the doll was not in its place, but in the doghouse, in the yard, where they found the poor animal without a head. A few weeks later, after the tragedy, also at night, the house caught fire and its inhabitants died burned. After long investigations, they discovered something very strange: the only thing that was not burned, and very gleaming, was the beautiful doll!!! It was a dark night on halloweens eve when i got dressed as a werewolf and i started hunting for candies during the night scaring people and making them think that they saw a real WEREWOLF. people started to panic they got they phones out and called the pólice, the pólice was searching for a werewolf and suddenly they saw something wierd around the corner, the werewolf was murdering the Candy around that corner, the pólice got their guns out and prepared for an ambush, they commanding officer counted it in on the radio, 3 2 1 GO, the werewolf already knew what was happening since he heard the officer count in, As the pólice attacked they saw the werewolf do such a long jump that he dissapiered in the sky, they scaterred the streets the entire night but they found nothing, at dawn they found a man laying on the ground without any clothes on, the pólice aproached him gave him a jacked so he can cover up and they started to ask him questions, but the man didn´t remember anything or knew anything of what happened that night, the pólice never managed to find that so called werewolf that dissapiared in the sky or understand what happened that night on Halloween´s eve. Conclusion: The man that they found naked was the actual werewolf but never could of guessed that since they only transform during the night. HALLOWEEN IS NEAR.... TOMOROOW IN THE LIBRARY !!! ÇYES, 26 STUDENTS FROM 3RD ESO WENT TO DUBLIN WITH THE ENGLISH TEACHER SOFIA DE DIEGO FOR AN IMMERSION WEEK AND THE HALLOWEEN EXPERIENCE. THEY ARE HAVING A GOOD TIME. 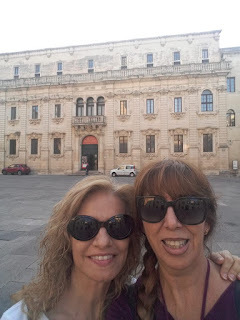 WE HAD A WONDERFUL TIME IN LECCE LAST WEEK. 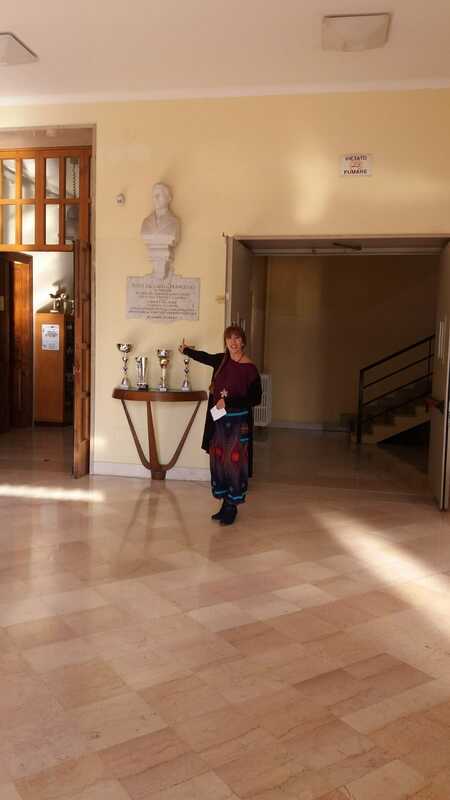 WE MET THE OTHER 5 EUROPEAN SCHOOLS FROM SWINDON (UK), GULPEN (HOLLAND), ENGER AND FREIGERICHT (BOTH IN GERMANY) AND LECCE (Italy). tHEN, WE ORGANIZED ALL THE WORK FOR TWO YEARS AND GOT TO KNOW THE SCHOOL AND THE AREA. IT IS A BIG TOWN WITH LOTS OF BAROCCO CHURCHES AND PALACES, A ROMAN AMPHITHEATRE, A CASTLE, AND 3 OLD GATES. YES, WE HAVE JUST BEEN TO LECCE IN LA PUGLIA, ITALY IN ORDER TO ORGANIZE ALL THE TASKS FOR THE NEXT 2 YEARS. ALL THE TEACHERS WERE VERY KIND AND FRIENDLY, BEGINNING WITH THE LEADER, HANS FROM THE NETHERLANDS. 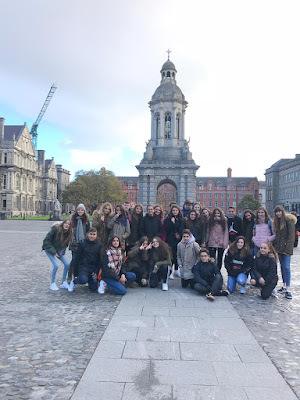 1.- 5 STUDENTS FROM 1ST BACHILLERATO AND 2 TEACHERS WILL BE TRAVELLING THERE AGAIN IN DECEMBER 2018 TO PUT INTO PRACTICE SOME INTERNATIONAL SKILLS THAT THEY WANT TO IMPROVE. 3.- AND THE THIRD TRIP WILL BE TO THE NETHERLANDS IN MAY. 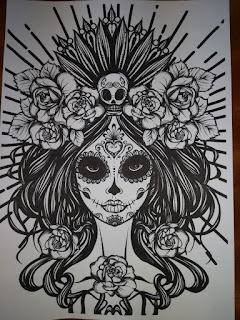 IF YOU WANT TO CREATE YOUR OWN HORROR STORIES, DON'T HESITATE, DO IT !!! It lurked in the shadows carefully hidden, silently watching and waiting to pounce. A creature so old and mystical that no human had ever set eyes on its terrifying features until now! Slowly, so slowly, it shifted its enormous bulk and began to move, metre by ponderous metre, towards the unsuspecting crowd. 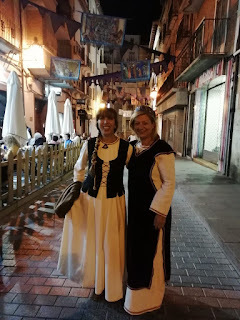 The city was full of activities and events for everybody to enjoy although some of us have taken adadvantage and have been travelling around. I organized a motivation trip for teachers to Istambul. We really enjoyed a lot !!! THE PILAR FESTIVAL STARTED ON THE 6TH OF OCTOBER AND LASTED TILL THE 14TH OF OCTOBER. WE HAD 4 DAYS OFF. THERE WERE A LOT OF DIFFERENT ACTIVITIES AND EVENTS. FIRSTLY, PEOPLE CHOSE A CONCERT TO GO. 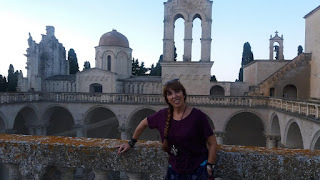 I WENT TO SEE DULCE PONTES. / I DIDN’T GO TO ANY CONCERT. THEN, WE COULD SEE A LOT OF STREET SHOWS, FOR INSTANCE, A LADY INTO A PICTURE, AN OLD MAN PLAYING THE VIOLIN, A COUPLE DANCING, BREAKDANCE BOYS, RAPPERS, CLOWNS, CHARANGAS, DRUMMERS, ETC… BESIDES, THERE WERE COWS IN THE BULLFIGHTING RING AND I WENT TO SEE THEM / BUT I COULDN’T GO. HOWEVER, MANY PEOPLE LIKE THE OCTOBER FEST AND THE FUN FAIR OR, GOING FOR TAPAS AND HAVING A DRINK. IN ADDITION, THE MOST IMPORTANT EVENT WAS THE FLOWER PARADE TO THE VIRGIN OF THE PILAR. WE HAVE TO GO “LADY GAGA’S LIFE” AT THE CINEMA. IT WAS 'FAREWELL' TO DIEGO DE MARCILLA. 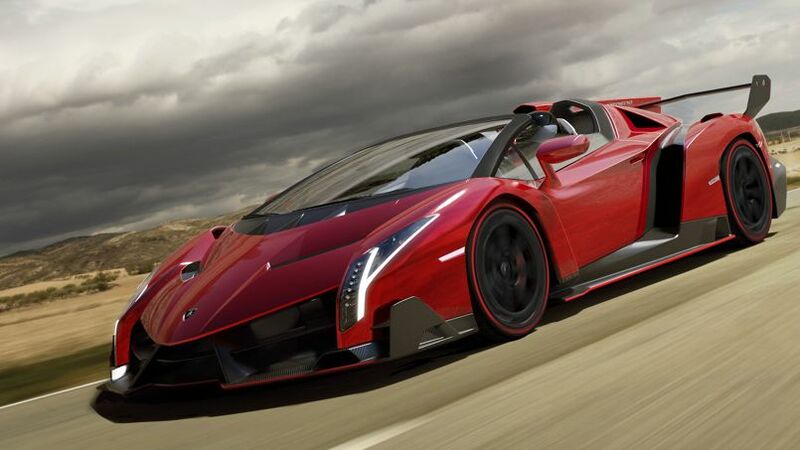 Lamborghini has released photos of its latest multi-million supercar, the Veneno Roadster. The car is an open-roofed version of the Lamborghini Veneno coupe, which was unveiled at last year's Geneva Motor Show. The Roadster is made almost entirely from carbon fiber-reinforced polymers. Even soft interior materials are made from a woven carbon fiber fabric. Unike the Veneno coupe, which was available to the public only in three pre-determined color schemes, buyers will be able to choose their own paint colors for this car. 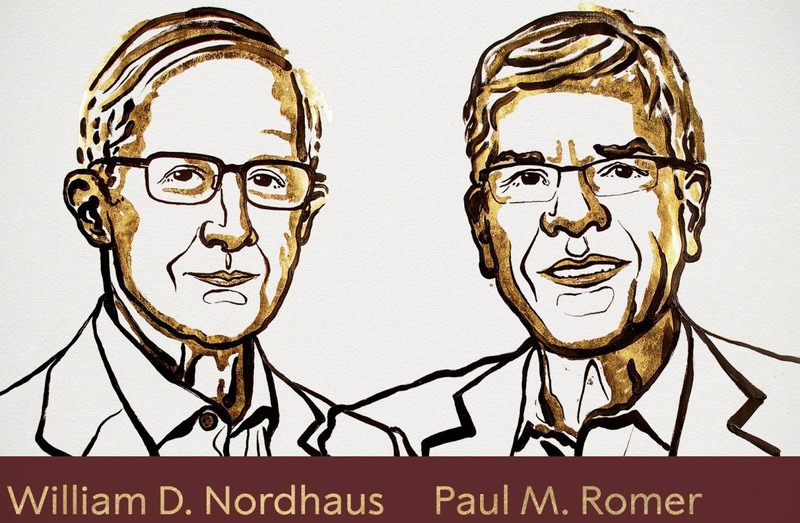 William D. Nordhaus and Paul M. Romer win the Nobel Prize in Economy in 2018. They have been awarded the Nobel Prize in Economics in 2018. Two Americans have won the award for integrating studies on climate change and technological innovations with macroeconomic analysis "their findings have significantly broadened the scope of economic analysis by building models that explain how the market economy interacts with nature and knowledge," said the Swedish academy. The Nordhaus findings refer to the interactions between society and nature. "He decided to start working on this issue in the 1970s, as scientists were increasingly concerned about the combustion of fossil fuel that resulted in a warmer climate. 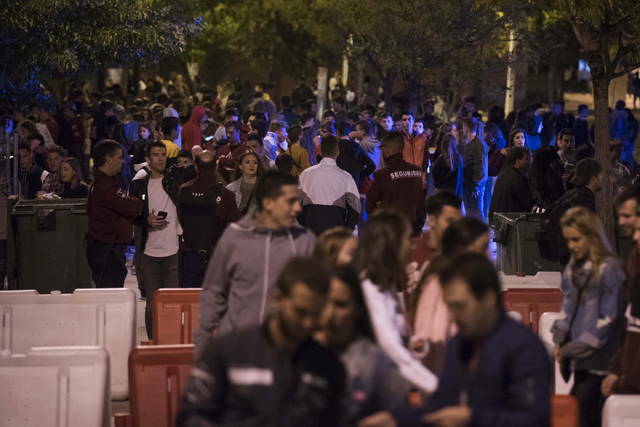 More than 100 complaints for urinating on the street next to Valdespartera. The Local Police of Zaragoza interposed last year 570 complaints for urinating on public roads. The sanction ranges, by municipal ordinance, between 50 and 250 euros, substitutable community work, although if there are aggravating can reach 500 euros.The concentration of people in Valdespartera is being lower than what was recorded in the Actur in other years, but more problematic due to the proximity to the residential area and complaints from neighbors"
A big explosion has rocked a key natural gas facility in eastern Austria, killing one person and injuring at least 18, police say.A fire followed the blast at the Baumgarten site, which happened around 08:45 (07:45 GMT). 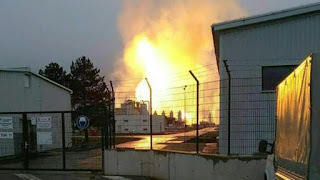 The plant lies just east of Vienna, near the Slovak border. On Twitter Austrian police said the situation was under control and a technical fault had caused the blast.One unconfirmed report spoke of 60 hurt. 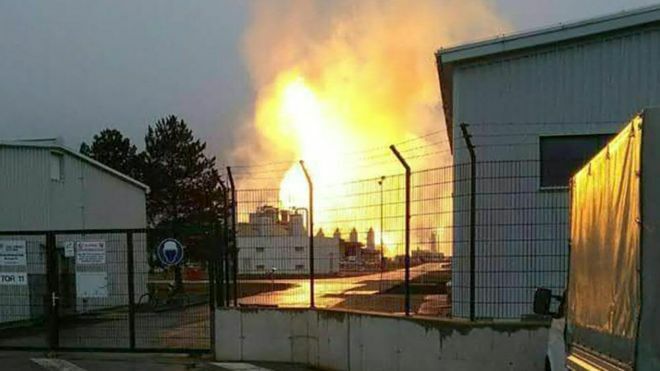 Emergency teams are at the scene.Baumgarten is a major hub for imported Russian gas, which is sent on to a number of European countries. The facility receives about 40bn cubic metres of gas per year. 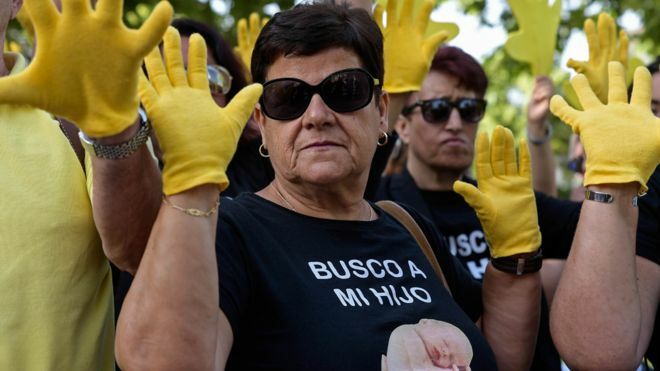 A Madrid court has acquitted a former doctor of stealing new-born babies from their mothers and supplying them to infertile couples. The court found gynaecologist Eduardo Vela, 85, had committed the crimes but charges were dropped because too much time had elapsed. He is the first person to go on trial for illegal adoptions that took place during and after the fascist dictatorship of General Franco. Thousands more cases are suspected. The Vela case focused on Inés Madrigal, allegedly abducted in 1969. After Franco's triumph in Spain's 1936-1939 civil war, many children were removed from families identified by the fascist regime as Republicans and given to families considered more deserving. The most serious abduction charge was brought against Vela by Ms Madrigal in April 2012. But because she failed to bring the case for 25 years after she first became an adult - in 1987 - the case fell foul of the statute of limitations, which is 10 years. She was in court for the verdict, but Vela was absent. Prosecutors had sought an 11-year jail term for Vela. The Spanish Supreme Court can still appeal against the verdict. 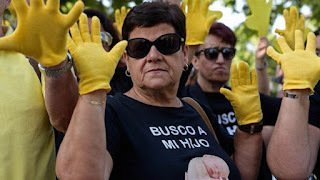 The Madrid provincial court found he had committed three crimes - abduction, fraud over pregnancy and forgery of documents. 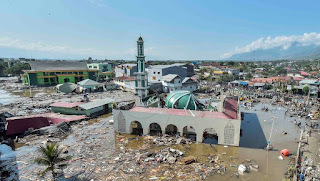 THE 7.5-MAGNITUDE QUAKE STRUCK JUST OFF THE CENTRAL ISLAND OF SULAWESI, SETTING OFF A TSUNAMI THAT ENGULFED THE COASTAL CITY OF PALU. AS TENSIONS AND NEED RUN HIGH, POLICE HAVE BEGUN GUARDING SHOPS AGAINST LOOTERS. THE BBC'S JONATHAN HEAD IN PALU SAW POLICE FIRING WARNING SHOTS AND TEAR GAS ON TUESDAY AS PEOPLE TRIED TO TAKE SUPPLIES FROM ONE SHOP. "AFTER DAY TWO THE FOOD SUPPLY STARTED TO COME IN, IT ONLY NEEDED TO BE DISTRIBUTED," HE SAID. "WE ARE NOW RE-ENFORCING THE LAW." HUMANITARIAN RELIEF CONVOYS ENTERING THE CITY ARE ALSO BEING ESCORTED BY SOLDIERS AND POLICE. 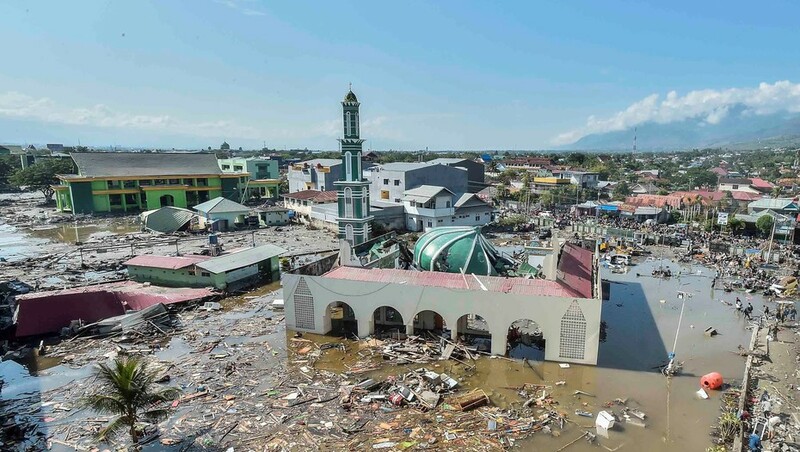 IN A SEPARATE INCIDENT, A VOLCANO BEGAN ERUPTING ON THE SAME ISLAND, SULAWESI, ON WEDNESDAY. MOUNT SOPUTAN IS ABOUT 1,000KM (600 MILES) AWAY FROM PALU, AND IT WAS NOT IMMEDIATELY SEEN AS A THREAT TO THE AID OPERATION. EVERYONE WANTS TO GET OUT. MOST CAN'T AND ARE HAVING TO ENDURE ANOTHER DAY WITHOUT POWER AND LIMITED DRINKING WATER. IN THE TOWN SQUARE PEOPLE PATIENTLY WAIT IN LINE TO REFILL WATER BOTTLES. THOSE THAT CAN MAKE IT HERE RECEIVE TWO MEALS A DAY, FROM A COMMUNITY KITCHEN RUN BY VOLUNTEERS AND GALLON OF WATER TO BATHE IN. Astronomers have announced the possible discovery of the first known moon outside our Solar System. 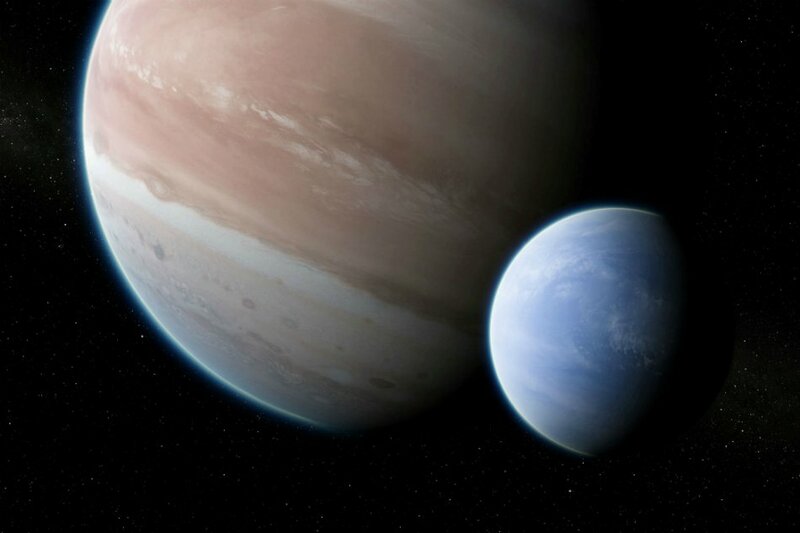 This "exomoon" is not like any in our cosmic neighbourhood: it's the size of Neptune and orbits a planet the size of Jupiter - but with 10 times the mass. The object was observed using the Hubble telescope. But they say that further observations are needed to understand the distant planetary system. "We've tried our best to rule out other possibilities such as spacecraft anomalies, other planets in the system or stellar activity, but we're unable to find any other single hypothesis which can explain all of the data we have," said Dr Kipping, from Columbia University in New York. To date, astronomers have discovered more than 3,500 exoplanets - worlds orbiting stars other than the Sun. This is exactly what the researchers saw: "The location, shape and depth of this event appear consistent with a Neptune-sized moon transiting in front of the star," said Dr Kipping. About 3.5 hours after the planet's transit ended, the Hubble telescope recorded a second smaller dimming of the star's brightness, which indicated a moon "trailing the planet like a dog following its owner on a leash," according to Dr Kipping. The researchers also had to remove artefacts from the Hubble data and used computer models to work out how different scenarios fit with the observed data. REMEMBER THAT WE HAVE FOUR DAYS OFF 11,12,13,14 OF OCTOBER IN ORDER TO ENJOY ALL THE ACTIVITIES PROPOSED BY OUR lOCAL COUNCIL. SO, CHOOSE AMONG STREET SHOWS, CONCERTS, FLOWER OFFER, DANCING, THEATRE, MAGICS, ETC...... OR TRAVELLING LIKE ME. SOME TEACHERS AND ME ARE GOING TO ISTAMBUL FOR THE LONG WEEKEND. YES, DIEGO DE MARCILLA WILL LEAVE TERUEL NEXT WEEKEND IN ORDER TO TO TO WAR AND GET SOME TREASURES. IF HE DOES SO, HE WILL BE ABLE TO MARRY ISABEL DE SEGURA NEXT FEBRUARY. WE WILL DRESS UP AS MEDIEVAL LADIES. DON'T MISS IT !! Nowadays, studying with music is a controversial topic. Some people affirm that It´s impossible to memorize with such as big noise while others claim that IT improves the capacity of concentratING. And, In my opinion, music is fantastic for studying. My parents are more and more surprised because I study with music, PARTICULARLY pop music and they think that I can´t do the homework in a right way but It´s false! Some universities studies explain that you memorize quicker and, what´s more, you generate more creative ideas. To sum up, every student would HAVE TO listen to music and decide if they love it or they don´t. If you want to try it, I recommend Mireya Bravo´s songs. 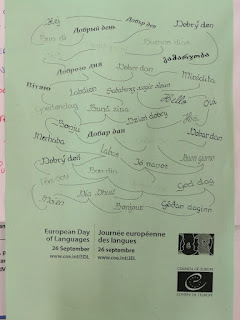 ON THE 26TH SEPTEMBER, THE PUPILS WERE READING POEMS IN DIFFERENT LANGUAGES. 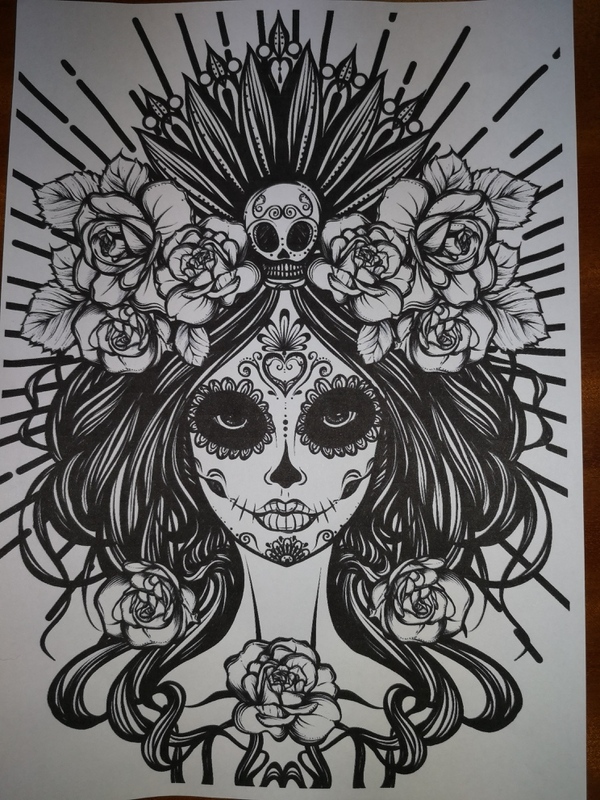 MY STUDENTS FROM SECOND BACHILLERATO CHOSE THIS ONE. in her bustle of flowering nard. The little boy stares at her, stares. The boy is staring hard. her breasts of hard tin. to make white necklaces and rings." "Let me dance, my little one. with your lively eyes closed tight. I can feelheir horses come." ** EVEN, RYAN, OUR NEW ENGLISH ASSISTANT HAS DONE IT BY HEART. "International skills put into Practice" will be led by the Netherlands and will make 5 more schools work together: Germany (2), Italy, Spain, and the UK. We will try to learn not only the language of the country that we are going to visit, but also their habits, their culture, their monuments, and their protocol in manners and customs. We will get more and more International, keeping our differences though. 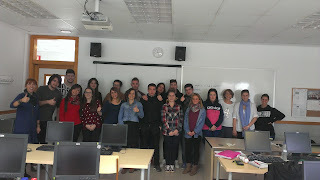 There will be 3 mobilities this year, to Italy, Holland, and Germany, with 5 students and 2 teachers for each mobility. We would like to invite everybody to participate, work, collaborate and get to know each other. ** and the Canadian Assistnt who will come in October: Ryan Burke. Just to remind you how good our ham is and how much you will have the opportunity to eat if you go to Teruel for the Ham Festival from the 8th to 17th of September. IT IS feria del jamón de Teruel. We have last minute news.... some teachers will not come back again but we want to say congratulations to Marian Alonso and Nuria Manrique who were intelligent and also lucky to pass the selective exam which makes both of them belong to the civil servant's world. We are o n holidays after so much work and so many interesting activities along the year, especially with our Erasmus+ Project which allowed us to visit Norway, Martinique and Germany. I hope we can get another one. 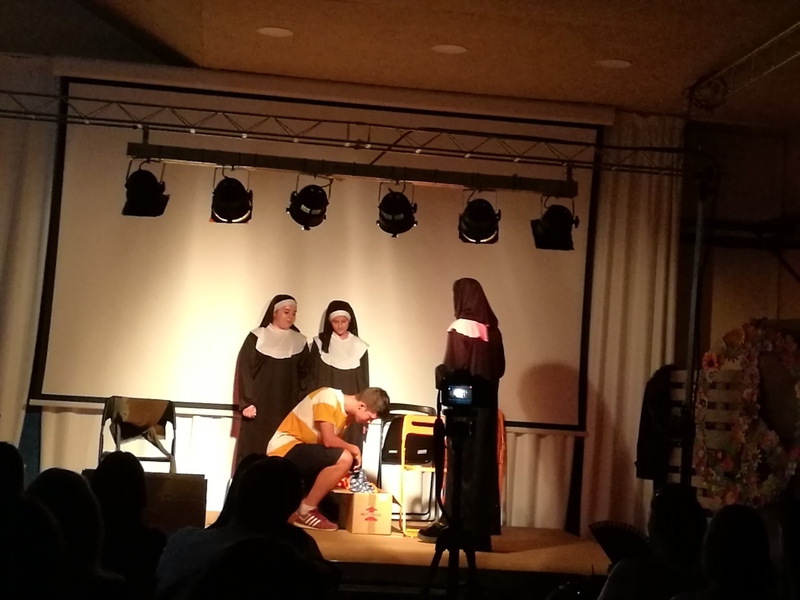 THESE ARE SOME OF THE ROLE PLAYS WHICH WERE SHOT IN THE DIFFERENT CLASSES OF 2ND ESO: A, B, C, D.
THEY WERE WORKING ON 'GREEN JOBS', RECYCLING AND RENEWABLE ENERGIES WITH THEIR TEACHER MARIAN ALONSO. IT WAS GREAT TO SEE THE STUDENTS ACTING WITHOUT READING!! THEY WILL BE SENT TO THE OFFICIAL WEBPAGE. ONE WAS SELECTED IN EVERY CLASSROOM AND THEY GOT SOME GIFTS. DID YOU GO TO SEE ANY BONFIRE?? ON THE 24TH OF JUNE, EVERY YEAR, BECAUSE OF ST JOHN'S DAY, THERE ARE A LOT OF BONFIRES in THE CITY OF ZARAGOZA. ...... AFTER SO MANY ACTIVITIES, SO MANY EXAMS AND SO MUCH WORK ...... WE ARE GETTING TO THE END AND WE ARE LOOKING FORWARD TO HOLIDAYS AND , OF COURSE ..... TO THE BEACH !! HAVE A NICE SUMMER..... ALL OF YOU!! 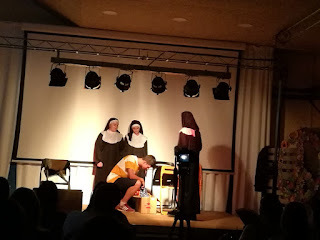 It was very funny and well performed. Santiago was a French policeman in the rebellion of 1968 and Jesus Liso one of the rebels, of course. 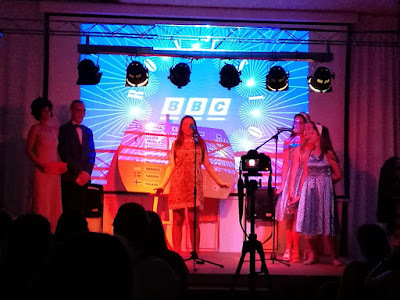 The young inheritors were reading the diaries of their dead relatives with very good memories and talking to the nuns of the residence hall, and one of the most memorable moments was the Eurovision contest with Manolo and Eva, as the presenters of it, and Masiel as the winner of that year.